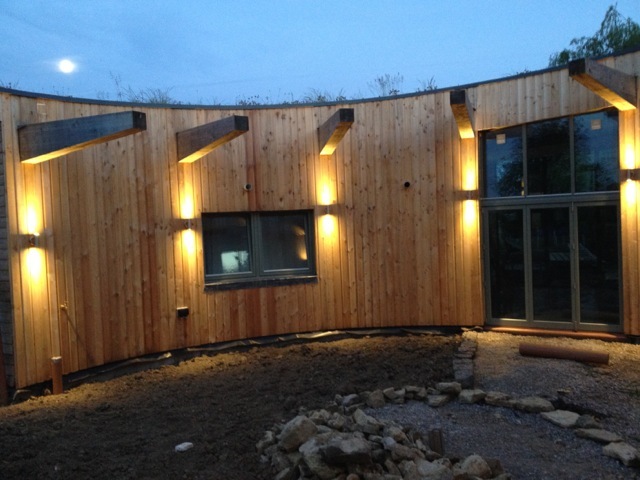 Larch Cladding Causes a Stir! The Roundhouse at Milton Keynes built by Peter Berkin and his wife Chard recently featured on Grand Designs, you can re-watch the programme on Channel 4OD. The unique design used 3,200 metres of Siberian Larch (also known as European Larch) machined to our 'BEN SEN 3' profile for use as the building's external envelope. The finished product is beautiful. In addition to great feedback on Twitter, an article appeared in the Grimsby Telegrapgh and as a result of this Bennetts Timber received a mention in the paper review on Radio Humberside's Breakfast Show on 23rd September at about 07.57. At Bennetts Timber we specialise in the supply of external timber cladding, for more information on larch, cedar, cumaru or ThermowoodD cladding call our experienced sales team on 01472 350151.